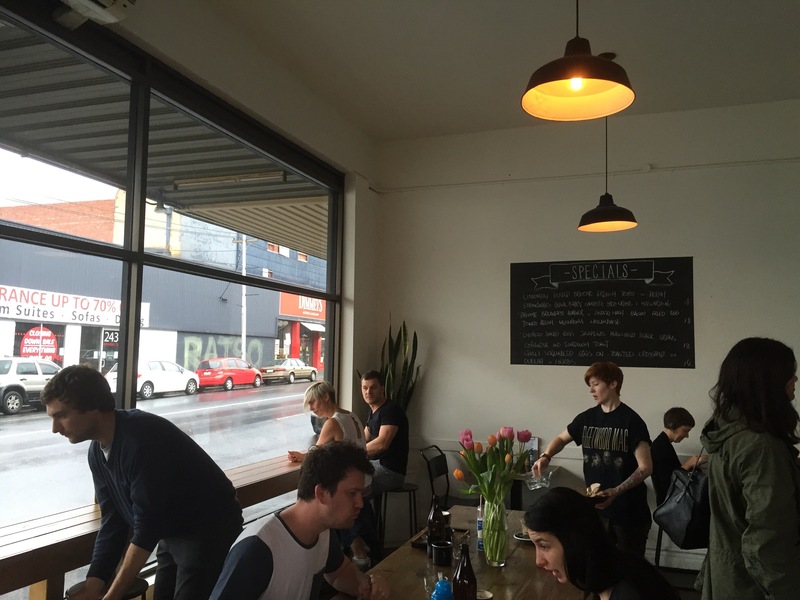 Even on a dreary Melbourne day you’ll find the dedicated brunchers out and about for something delicious. 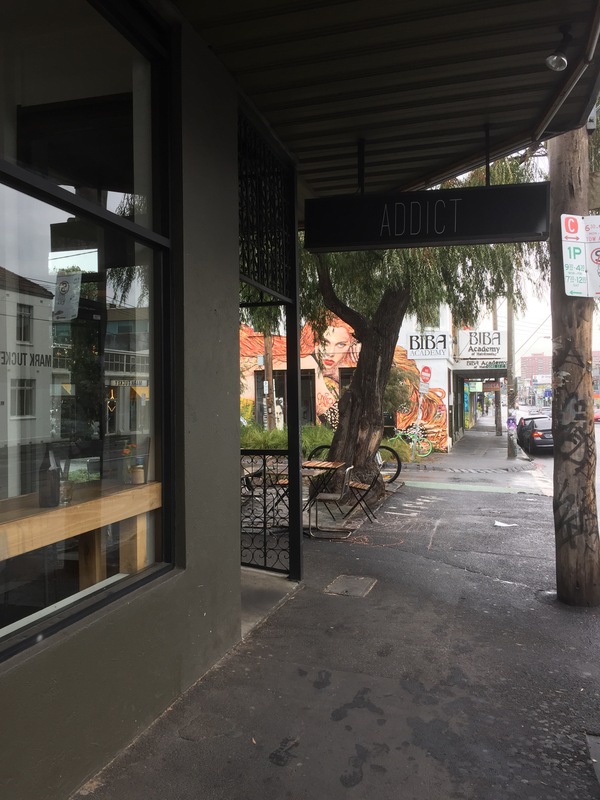 We made our way to Johnson Street in Fitzroy to try out Addict, ignoring the grey skies on the promise of coffee and breakfast. We’ve been on many occasions for a take-away latte and sometimes even a donut or cupcake, but today it was time for something substantial. 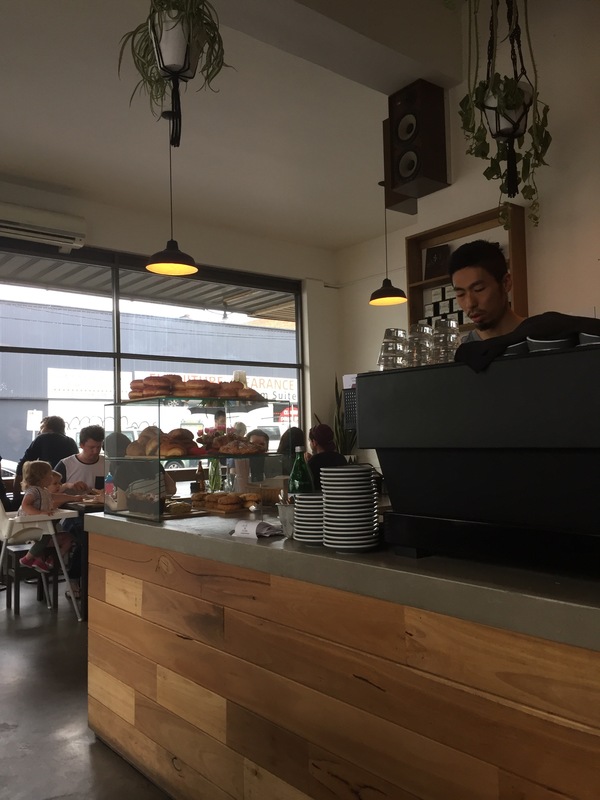 We love the venue, the staff were friendly and efficient, slinging coffees with a bit of flair and negotiating their way amongst the tables and diners. Addict do a lovely coffee, creamy with a nice mouthfeel. It’s rich and delicious; after one sip you’re already reaching for more. The menu had an abundance of sweet options when we visited and we couldn’t help but choose a couple of the more ridiculous. 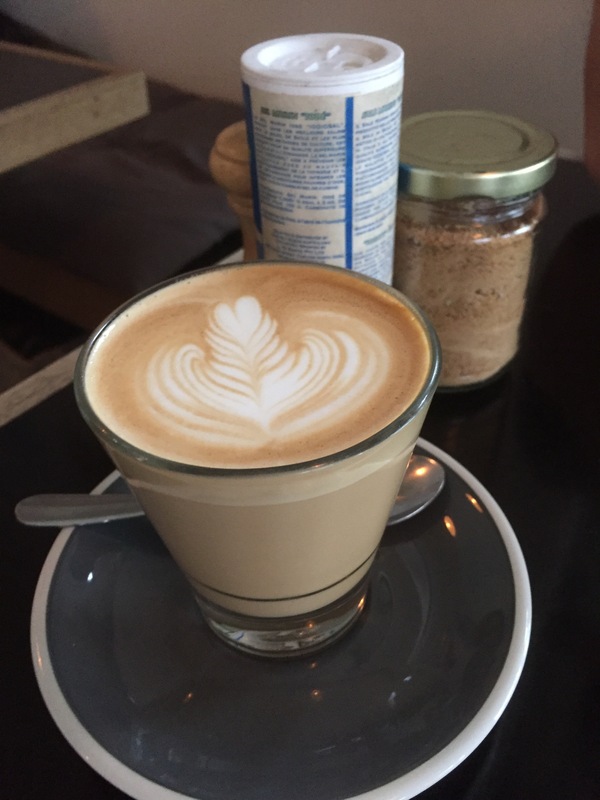 Going out in the rain for breakfast necessitates something delicious to make it worthwhile, fortunately there were plenty on offer at Addict. Our first choice, unsurprisingly if you know our obsession with this breakfast food, was French toast. It was served with a raspberry coulis, mascarpone and fresh strawberry. The dish was the perfect mix of light, rich and fresh. The French toast was a touch soggy, but a perfect carrier for the flavour. The sprinkling of chocolate soil made this breakfast feel especially indulgent and we’d certainly order it again. 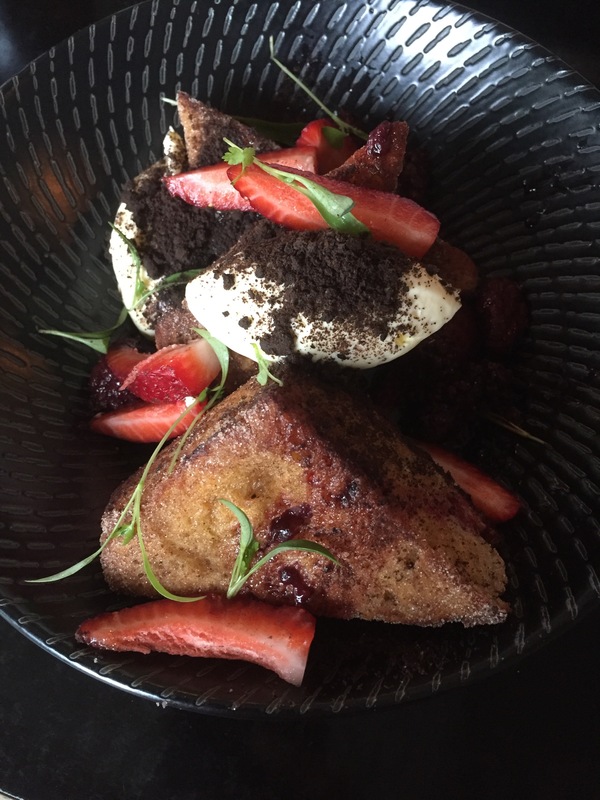 It’s a hard task to beat out a French toast for our affections, but Addict managed to do just that. 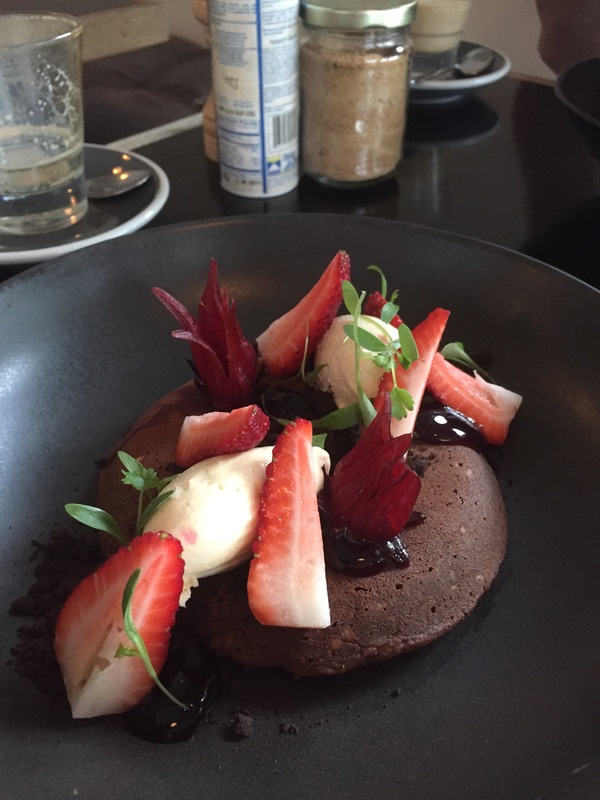 Our next choice on the menu was a dark chocolate fondant pancake, with hibiscus flower, chocolate soil, fresh strawberry and a lightly whipped mascarpone. First things first, the centre of the pancake had the rich, oozing centre any good fondant should. The dark chocolate takes the dish to a whole other level of rich, but it’s complemented by the aromatic hibiscus and the light, yet still creamy texture of the mascarpone. This really was a fondant pancake, the kind so many Masterchef contestants have crossed their fingers for as the judges cut open their dishes. This was the kind of breakfast that reinforces my belief that breakfast is the very best meal of the day. The opportunity for wonderful, unique and thrilling meals is endless and it’s obvious Addict have made the most if it with the two dishes we sampled.